So I have the Manly Zine Fair on the 21st at Manly Library. 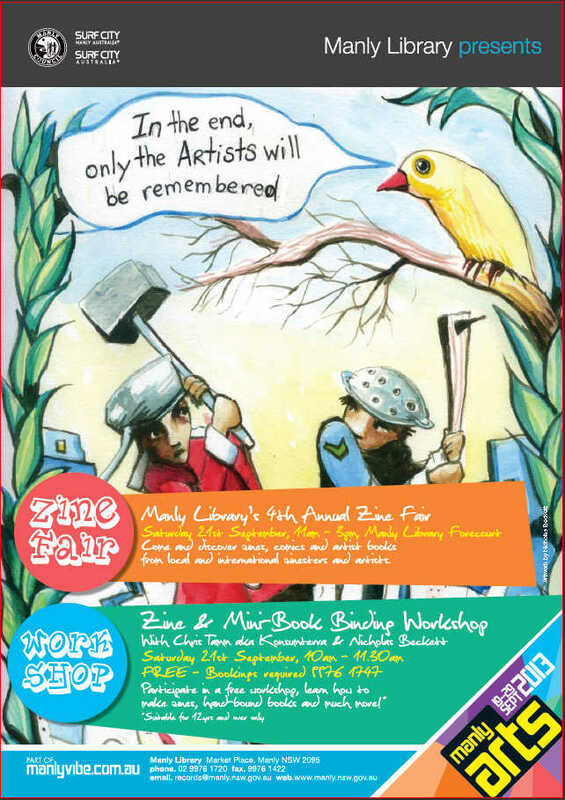 Come along because as well as trying to sell my zines I’ll also be trying to teach how to make your own books. 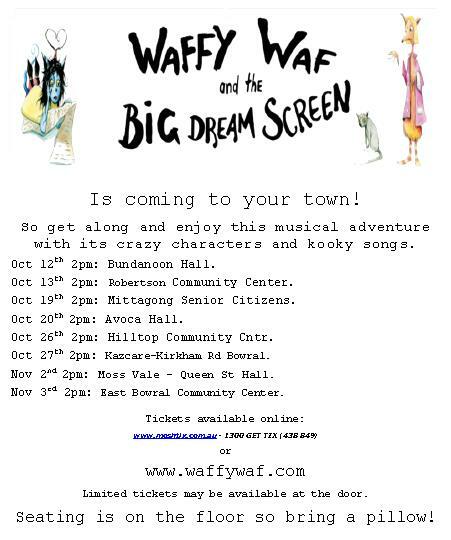 And, Mr Scott Gibson hs got a troop of fine actors togther for the first run of the hit spectacular Waffy Waff and the Big Dream Screen. I’m working on some backdrops, which we hope to get done it time, or Scott going to put me into the cage as a rag doll in his next cage fight. Get your tickets online. CLICK HERE!!! !